If you want to reduce your impacts on climate change (which is of course why you’re here), you’ve got two options: 1) reduce your carbon footprint by changing your lifestyle choices, and/or 2) purchase carbon offsets that reduce carbon elsewhere by funding climate-friendly projects, like clean energy and forest preservation. If you want to fully eliminate your carbon footprint and live a carbon neutral life, offsets need to be part of the equation. Offsets give the buyer “carbon credits” for emissions in exchange for reduced emissions elsewhere. 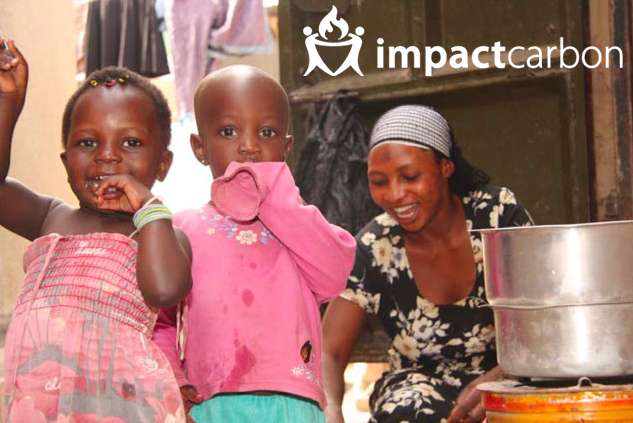 For example, we work with Impact Carbon, an award-winning non-profit that funds clean cookstove technology in Africa. Their projects save wood and fuel, and offers a host of social benefits, too. By buying offsets through Impact Carbon, the carbon savings of improved cookstove technology offset your personal impacts. The average American is responsible for about 19 metric tons of carbon dioxide equivalent (“CO2e”) pollution each year, and the average European pollutes around 8 tons of CO2e per year. Frequent fliers and drivers can have a carbon footprint that’s several times higher. To stop climate change we need all carbon pollution to drop to zero as quickly as possible, including our personal pollution. There isn’t yet a global tax or price on carbon, so the responsibility for a cleaner climate rests with all of us as individuals to reduce what we’re willing to with cleaner lifestyle choices, then offset the rest. But how do you know how much to offset? It’s said “you can’t manage what you don’t measure,” and most of us don’t currently measure our climate impact. Fortunately, it’s easier than ever to track your climate impacts with our fun (and FREE!) software at Oroeco. Once you answer some questions about your lifestyle you can visualize the carbon footprint of every aspect of your life, including diet, shopping and transportation. Then you can act to reduce your impacts with our personalized tips for saving carbon and money. And, if you’re ready to up your climate-savvy kudos, you can achieve personal carbon neutrality and Climate Champion status by subscribing to offsets. Not all offsets are created equal. There are definitely some bad projects out there. It’s important to only purchase offsets that are verified as legitimate, and, ideally, your offsets should have positive impacts on people and the planet beyond carbon reductions. Oroeco partners with the award-winning non-profit Impact Carbon, which works with clean cookstove projects in Africa, where the CO2e savings comes from efficiency improvements that decrease demand for fuel and reduce deforestation rates. 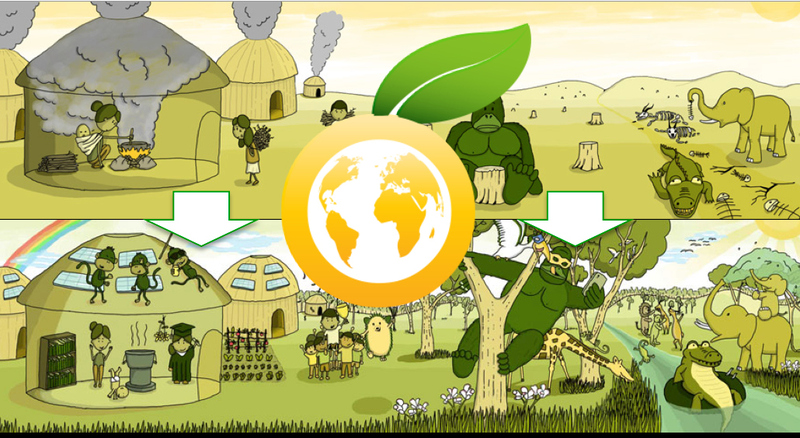 The social and environmental benefits from these Gold Standard certified offsets also go far beyond climate: women and children breathe cleaner air while cooking at home, money is saved on charcoal, less time spent collecting wood means more time for work and school, and healthier forests improve water quality and biodiversity. Sign up for Oroeco here (if you haven’t already): Answer a few questions to calculate your climate impacts and get access to our personalized tips for reducing your impact. Subscribe to Offsets: Once you’re logged into Oroeco, head to our Offsets page, and use the slider bar to decide how much of your monthly carbon footprint you want to offset. Be a Climate Hero: Your Climate Hero status will improve as you track, reduce and offset your climate impacts each month. You can also invite your friends and family to Oroeco to share, compare and collaborate. The more friends you invite to fight climate change with Oroeco the more chances you get to win cash and great prizes. 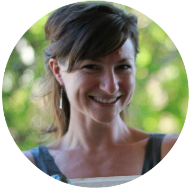 It’s our way of saying thanks for helping grow our community of Climate Champions! Looking for a gift that helps both people and the planet? Impact Carbon provides offsets that reduce climate impacts and serve social justice causes. Oroeco has you covered with a chance to help some of the poorest families in Africa while simultaneously helping your friends and family fight climate change! Oroeco has partnered with Impact Carbon to offer matching gifts of carbon offsets that support clean cookstoves in East Africa. Traditionally, cookstoves use a significant amount of wood for fuel, creating localized environmental degradation and putting women and children in unhealthy and dangerous situations from smoke and wood gathering. Clean cookstove technology means less fuel, less smoke, less exposure to violence, more time for education and livelihoods, healthier families, and a healthier climate for all of us. To learn about what kind of impact these stoves can really have, read more here! Send an email to gifts@oroeco.com with the NAME and EMAIL address for each person you’d like give the gift of one month of FREE carbon offsets to support clean cookstoves. Make sure to include the name of the giver (that’s YOU! ), along with any special instructions about when you’d like the gift to be emailed (like if you want it to arrive on a holiday or a birthday). We’ll even let you add your own name to the list to give this gift to yourself as our way of saying thanks! We will send all your gift recipients a personalized email with information and instructions about how to redeem their gift. They’ll need to create a FREE Oroeco account (if they don’t have one already), then go to oroeco.com/offset to subscribe to the clean cookstove offsets. If you’d like to further personalize your gifts, and increase the chances that all your gifts are received and used, you can download this gift certificate to print and/or email to your loved ones at your leisure. Thanks for supporting Oroeco, Impact Carbon, and families throughout East Africa, and happy holidays to you and yours from Team Oroeco.